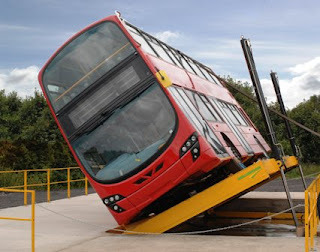 All lorries, buses (especially double decker) must be tested for tilt. 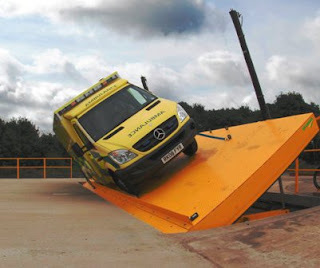 This tilt table is 9m x 3.2m and has a maximum tilt angle of 45 degrees. 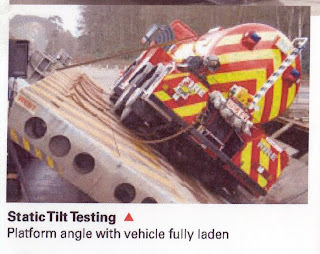 Tilt testing gives rollover thresholds, tests for side slope operation, stability giving important information for suspension development, all important in military all terrain vehicles etc. And of course, this is very important for tankers and lorries. Within my vision of geometry, I see the 45 degree angle as a pleasing angle to work with creating perfect balance in a square.